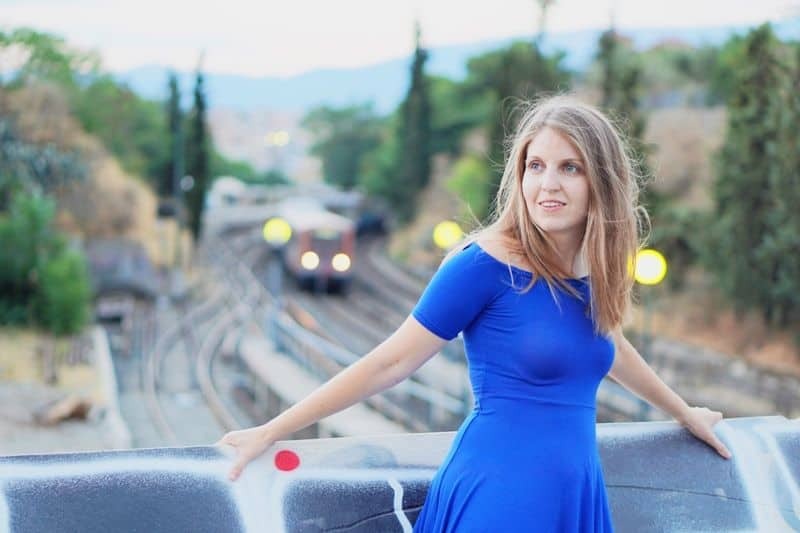 Last summer I spent eight days traveling around Tuscany using the public transport, mainly trains and buses. Traveling by car in Tuscany is easier, but in my case, it wasn’t possible. 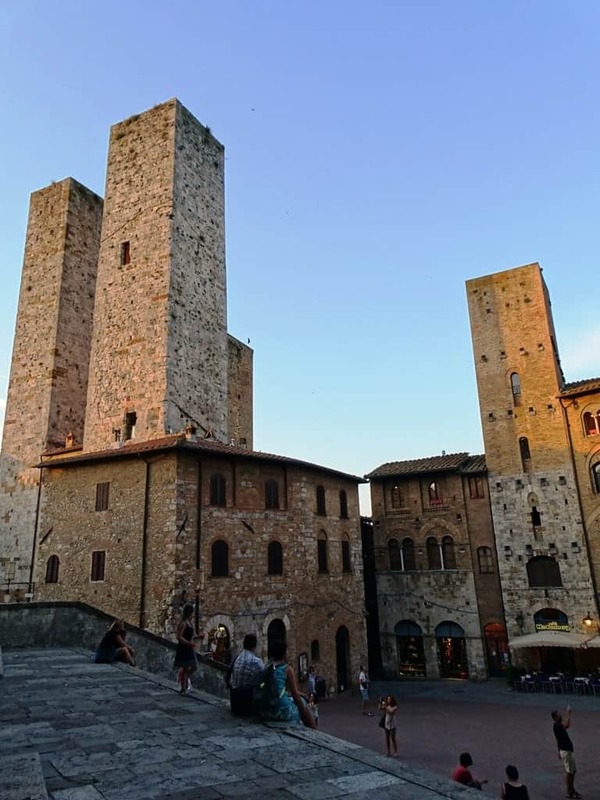 On this post, you will learn how to travel from Florence to San Gimignano and vice versa by bus and by train and which is the best option. The bus station in Florence is exactly next to the Santa Maria Novela train station. The exact address of the train station is Via Santa Caterina da Siena 15 in case you want to put it on google maps. 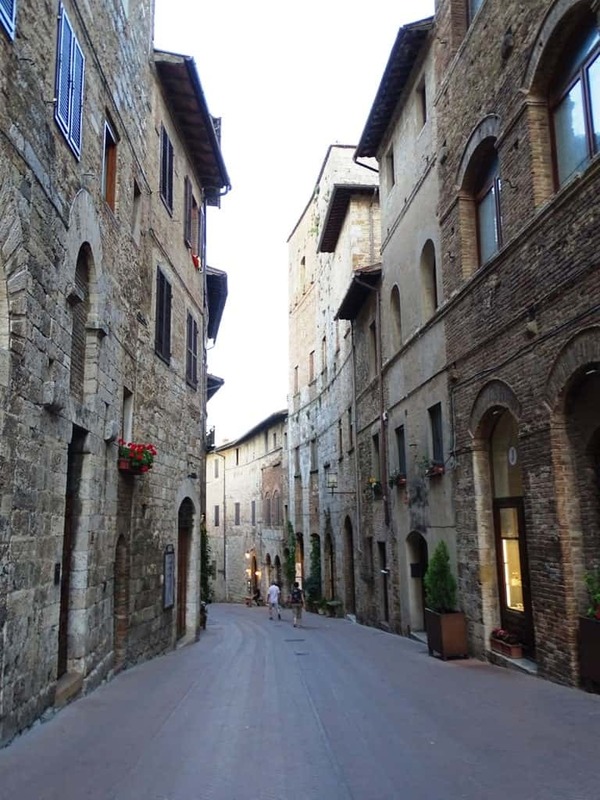 Unfortunately, there is no direct bus between Florence and San Gimignano. 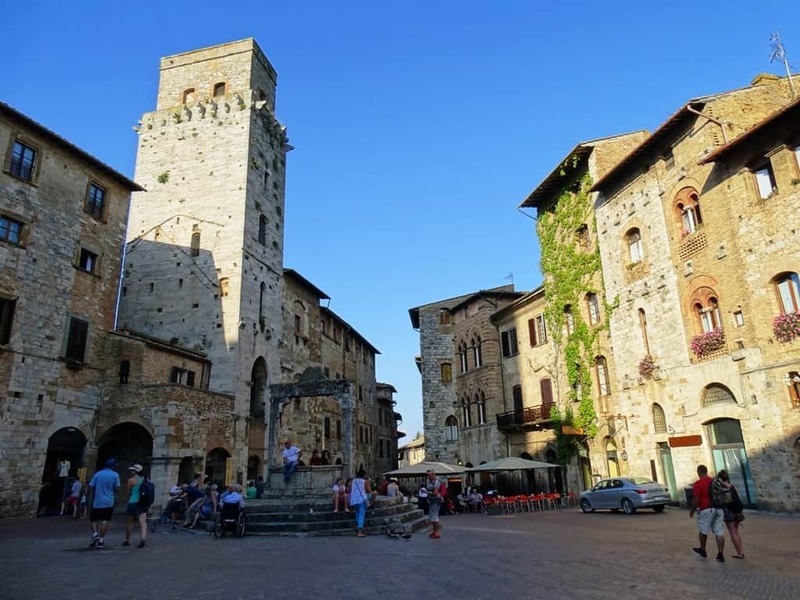 You have to stop at Poggibonsi and from there take another bus to San Gimignano. 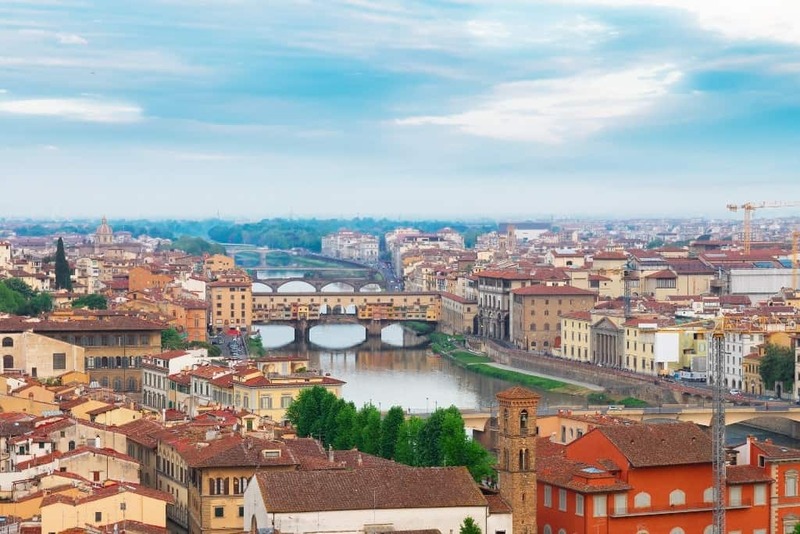 The ticket you bought in Florence is valid until the end of your trip. 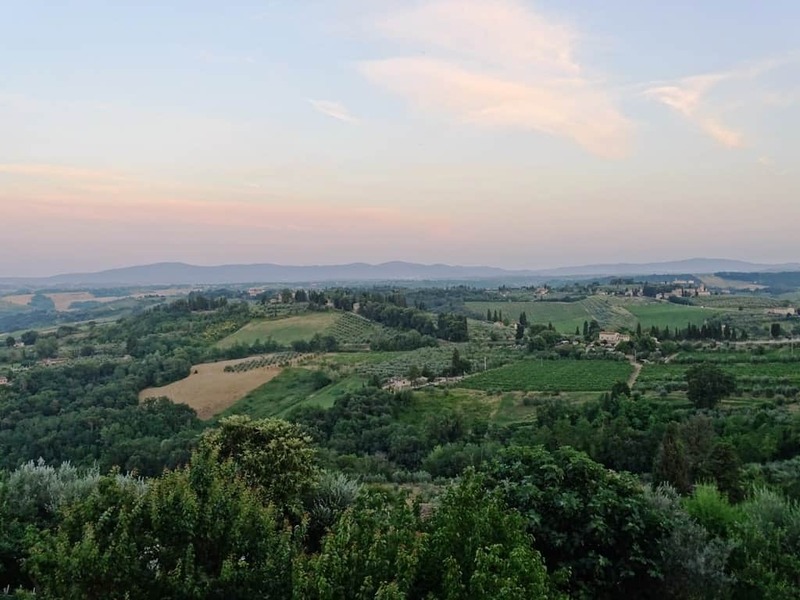 The journey time between Florence and Poggibonsi is approximately 50 minutes, and between Poggibonsi and San Gimignano, it is 20 to 25 minutes. 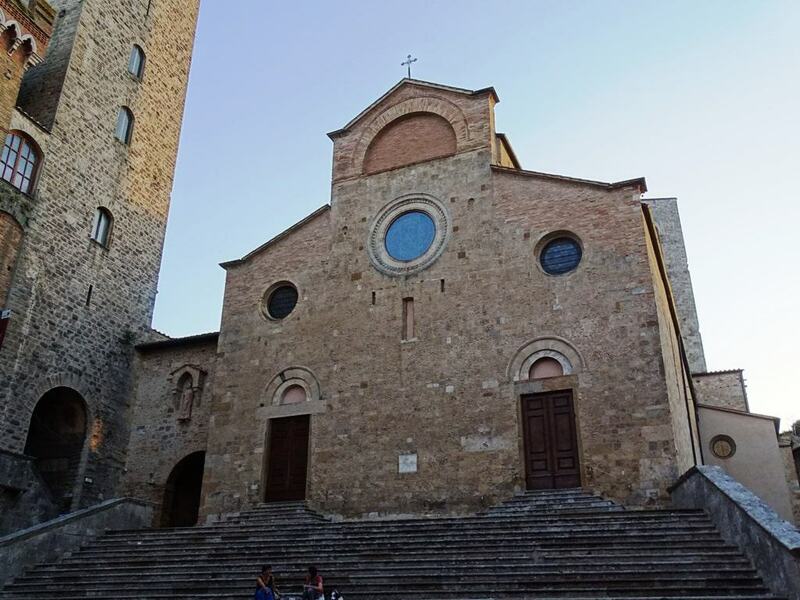 There is always waiting time in Poggibonsi so the whole journey between Florence to San Gimignano can take anything from 80 minutes to 120 minutes. Again there is waiting time at the Poggibonsi bus station, and I find that the train is not well coordinated with the bus. 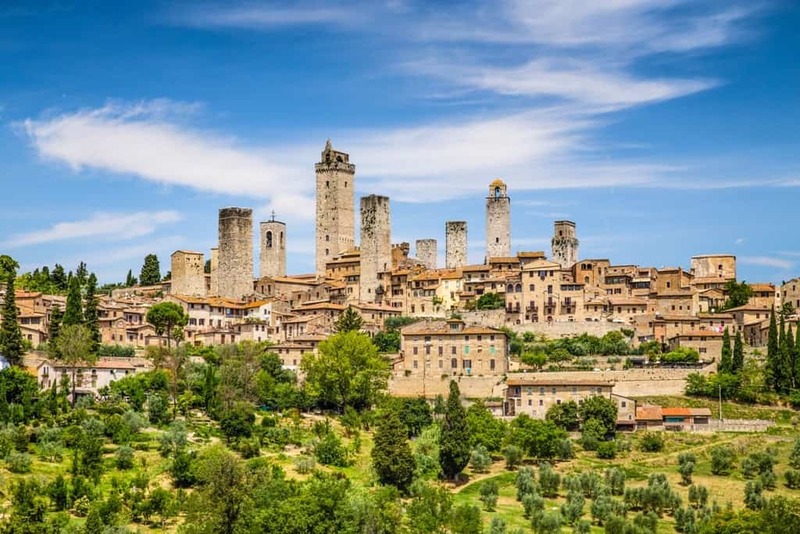 The best way to get from Florence to San Gimignano is by bus as it is quicker and cheaper. 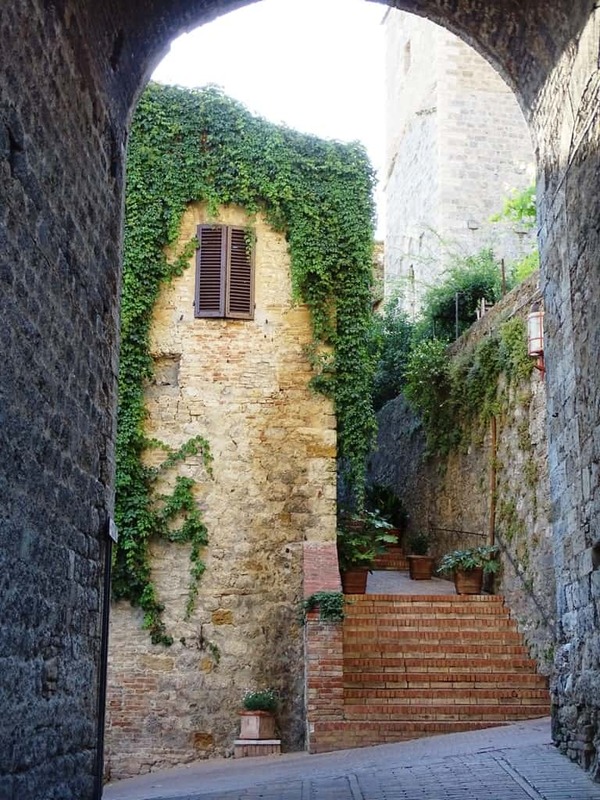 While in San Gimignano, there are plenty of things to see. 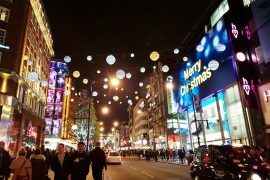 Below are some of the top attractions to check out. 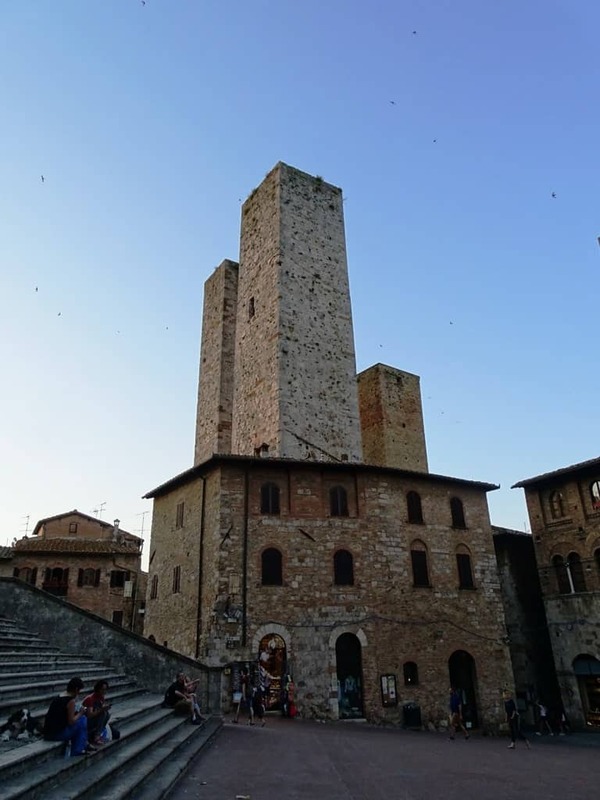 Torre Grossa is the tallest tower in San Gimignano. This medieval structure was built in 1310 and you can climb up its staircase to get panoramic views of the nearby countryside at the top. 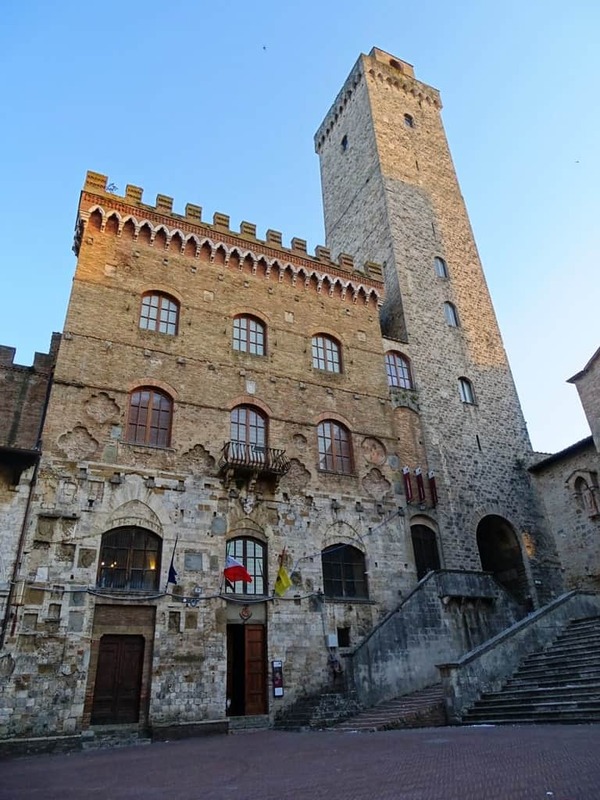 The Palazzo Comunale has been in San Gimignano since the 13th century and is situated in the Piazza del Duomo. 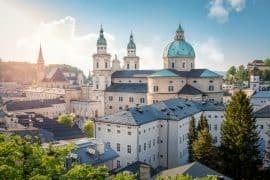 This former palace now serves as a museum which you can walk around inside to view historic frescos as well as a Picture Gallery which contains paintings from the 13th-17th centuries. After touring the interior, you can step outside into the courtyard, where you can view even more frescos painted on the walls. There’s also a bell from 1328 in the courtyard you can check out. 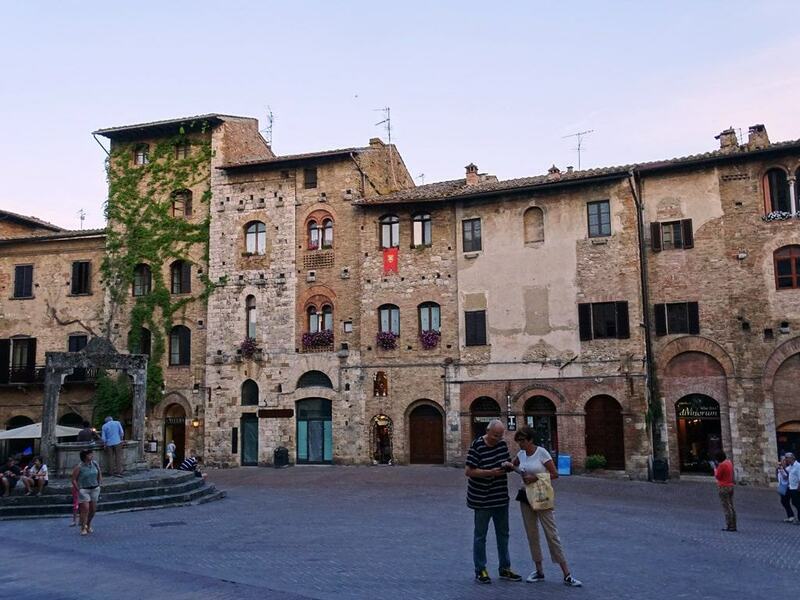 This city square is a bustling place in San Gimignano. It’s home to many historic structures, such as the Palazzo Comunale. While here, you’ll also see many other buildings, including two houses next to each other that were home to enemies who tried to outdo the other by adding intricate sections to their living quarters to show their prominence. 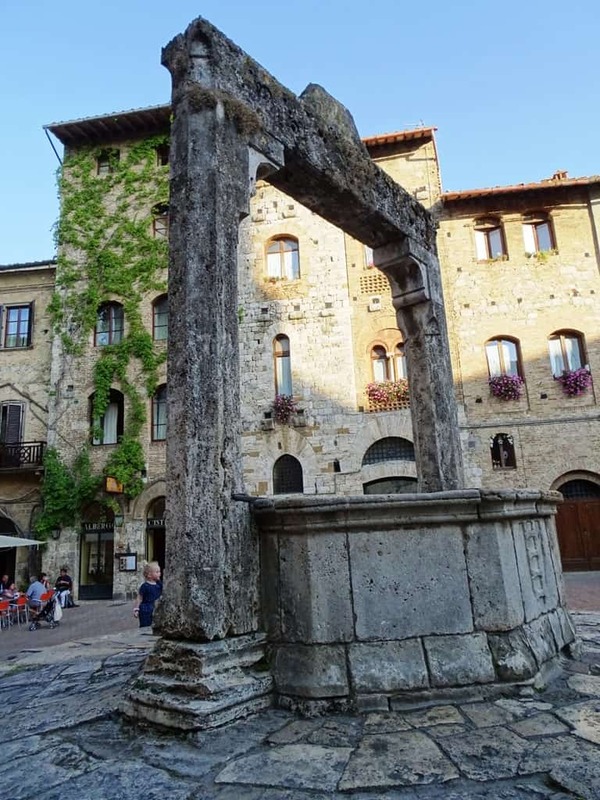 If you enjoy history, you’ll definitely want to see this square as it was once one of the most important political sections in San Gimignano back during the Middle Ages. San Gimignano 1300 is a unique museum that holds many large-scale models of what this town once looked like back in the Middle Ages. Inside you can view these impressive models, as well as many other exhibits. 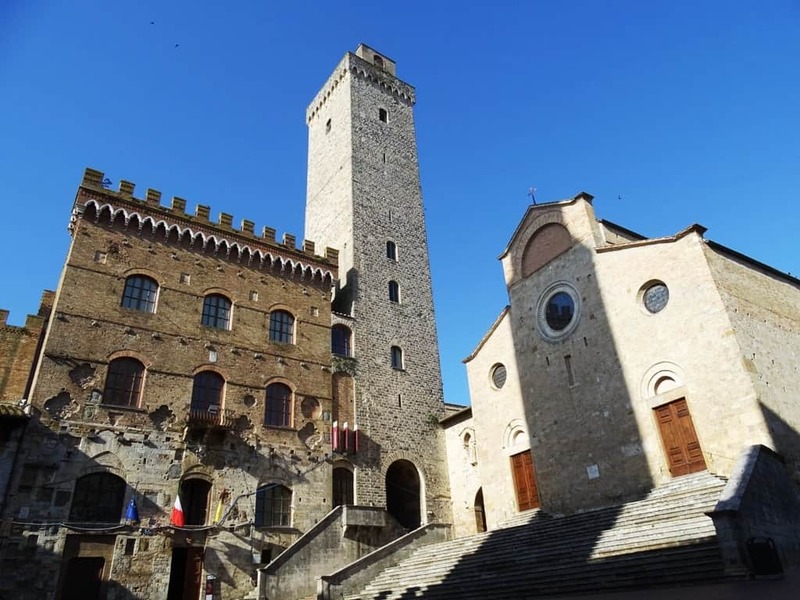 You’ll find the flags of the town’s numerous districts, a graphic timeline you can read to help learn more about the town’s history, and an exhibit that recreates a fresco by Memmo di Filippuccio with life-size ceramic models. 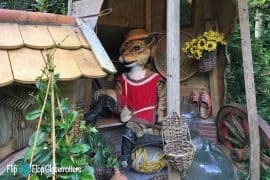 In addition to this, the museum also offers many interactive exhibits which play videos and display interesting texts about the culture of the town. Keep in mind that tickets are required in order to enter this museum. Castelvecchio is an old castle ruin believed to have been built around the 6th or 7th century. It was once an important place during medieval times for military affairs. The castle thrived until it eventually succumbed to political and military problems. 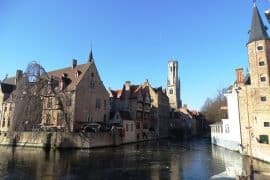 It also was believed to have been the source of the town’s plague during 1485 causing it to be completely blocked off. You can see the newly uncovered ruins for yourself with a special tour you can sign up for. Besides the castle ruins, you can also see the nature reserve located behind the castle. Known as the Castelvecchio Nature Reserve, this stunning natural wonder features flowing rivers, towering rock formations (many of which are home to a rare type of mollusk), and even a flowering heather, which is known for its stunning colors. You also find many other native plants, like a native yew species which you can’t find anywhere else in the world. 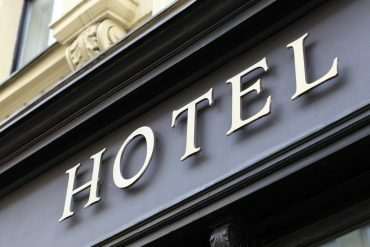 While touring the area you might even catch a falcon or eagle soaring through the sky. Fonti Medievali was built back in the 14th century and was the area where people visited to get to the public fountains to wash their clothing and other belongings. 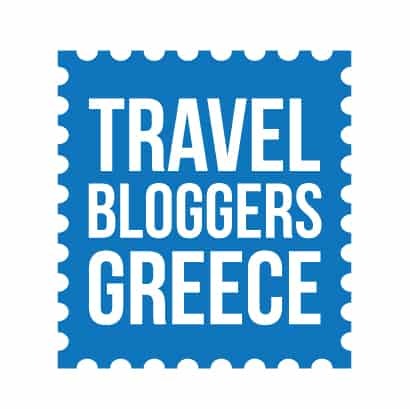 You can tour this intricately designed structure with its beautifully preserved columns and steps. You can even see the area where a chapel once stood before it was torn down in the 1930s. 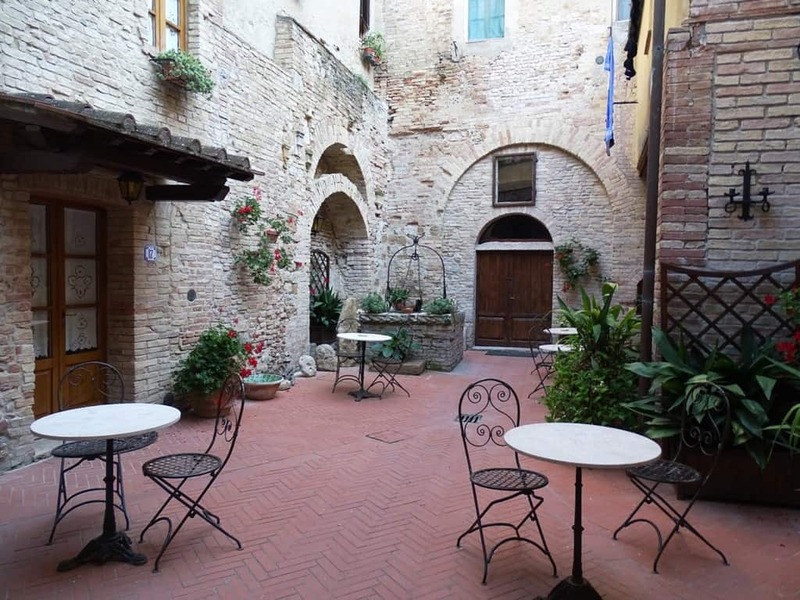 This stunning square is a popular place to venture to in San Gimignano. In the middle of the square is a well which was built around 1273. 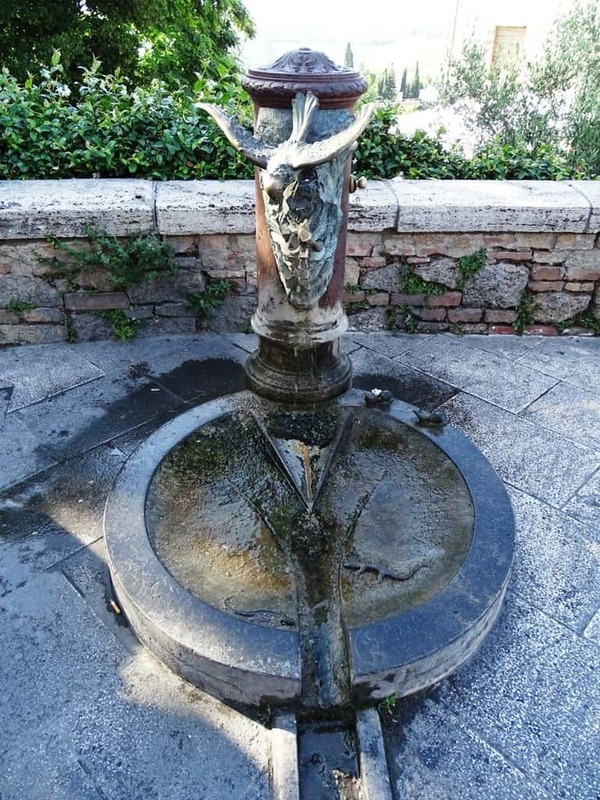 You can view this well yourself and its unique engravings which include the coat of arms of Podestà Guccio dei Malavolti. 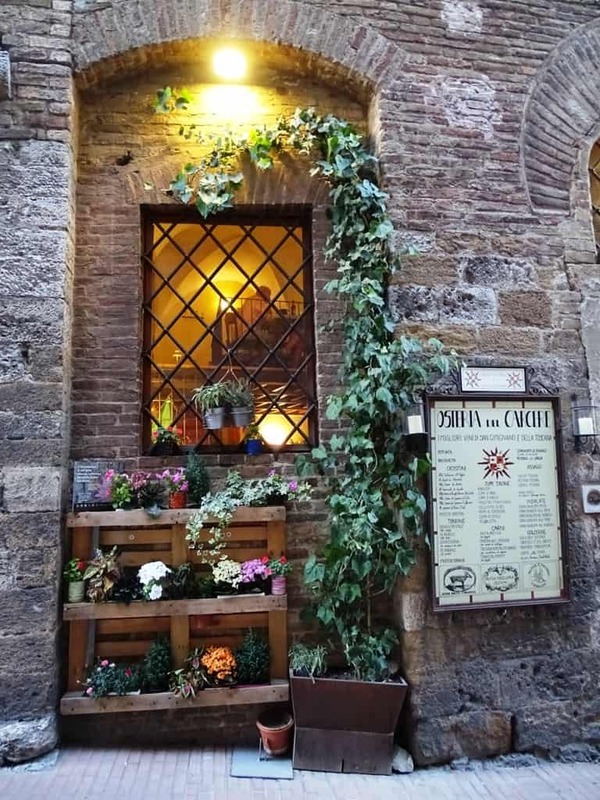 Besides the well, you can also check out the surrounding buildings near the square, such as the Palazzo Tortoli which is known for its stunning windows. 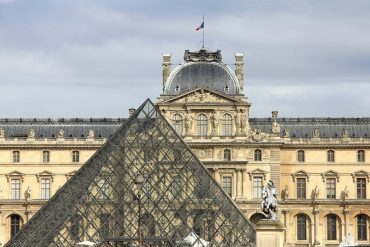 There are also a few museums you can walk around in and even a historic hotel nearby which is also home to a café where you can grab a quick bite to eat at. La Rocca di Montestaffoli is situated in a former 14th century fortress. Because of its location on a hill, it provides stunning panoramic views of the rolling landscape and town below it. 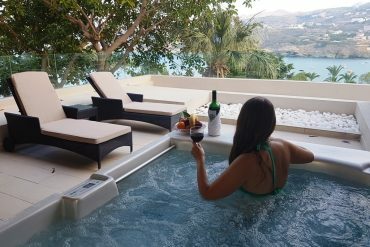 This fortress is home to a wine museum where you can learn more about local wine and even try some of it yourself. While here you might even hear some musicians playing traditional songs on classical instruments, like the harp. 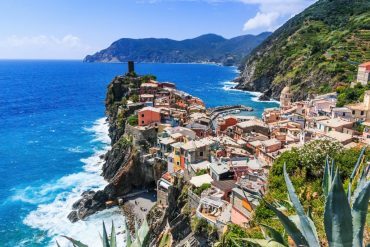 You might also be interested in How to get from Florence to Siena, 45 things to do in Tuscany and the most beautiful hilltop villages and towns in Tuscany. 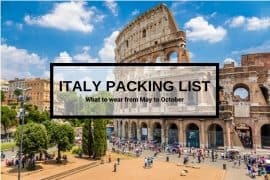 Don’t forget to check my 10 day Italy itinerary.